The world does not really need any more ‘smart’ devices (please, no)… but in this one case, we’re going to make an exception. 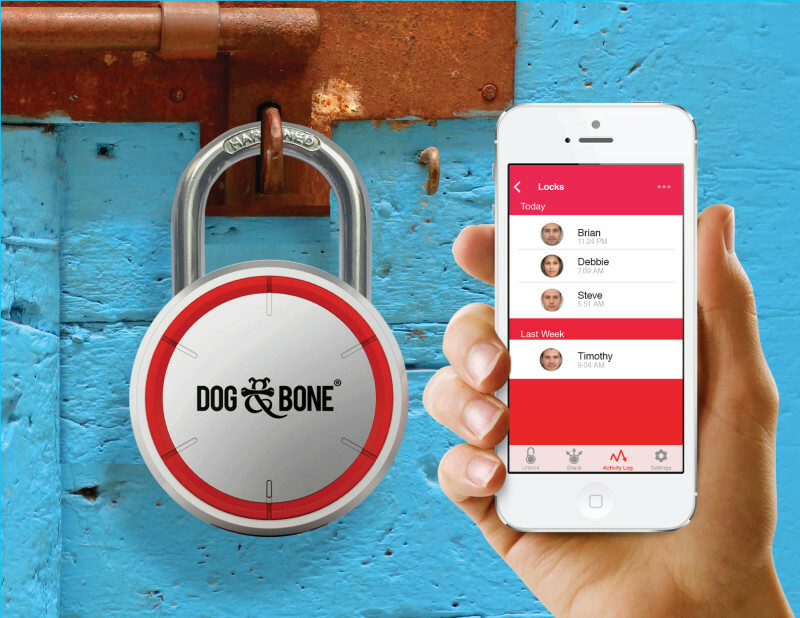 Dog & Bone has designed something pretty special with this LockSmart Keyless Bluetooth Padlock. Its stainless/alloy body is brawny, heavy and stout; its electronics are secure (128-bit encryption), weatherproof and intuitive; and it’s looks are a combination of intimidation and subtle sexiness. The way it works is you download their app, set up an account and link your phone to the SmartLock. And then all you need to do is sync the lock to your phone and tap your screen to open the lock and close it just like any other lock. It fits on most lockers, sheds and bike locks and works with both Android and iOS phones. Its rechargeable battery can last up to 2 years between charges (depending on use) and is more convenient than having a passcode, as it allows you to grant and take away access, while also keeping a log as to when and who opened it last. There are a lot of innovative products out there that require you to make an effort to make them useful. This is the kind of thing that just is… assuming you have a few valuables you keep under lock and key. Well, now you can ditch your key and step into 2016 with a better way to keep your stuff secure and looking good. And this recommendation does not just come from ‘admirers’ of this technology… but daily users.